In 2012, the Prince George’s County Redevelopment Authority solicited proposals for the redevelopment of several vacant county-owned lots and buildings consistent with the Gateway Arts District Plan. Landex proposed the formation of a public/private partnership to create a mixed-used development consisting of apartments, street level retail space, and parking. 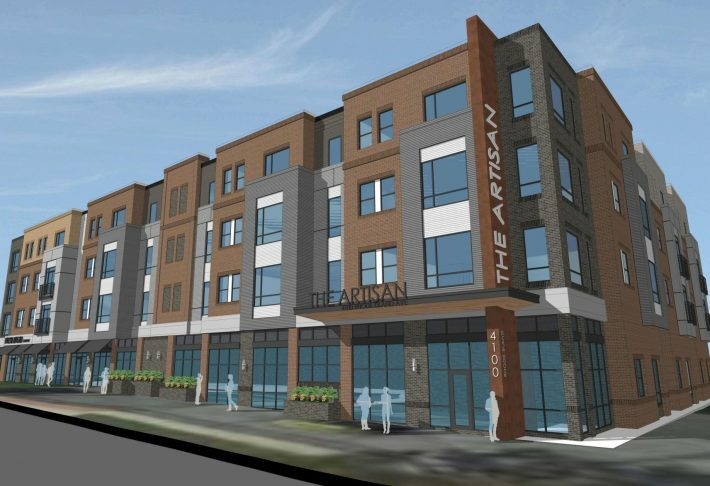 Studio 3807 and Artisan at 4100 will be cornerstones of Artists Row in the center of the Gateway Arts District. 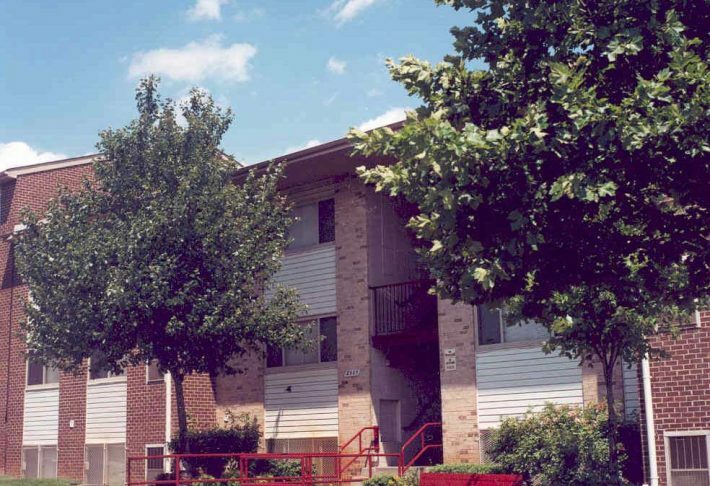 Autumn Woods in Bladensburg, Maryland was a foreclosed 647-unit, 35-year old, physically and financially troubled apartment complex that was the locus of criminal activity and the blight of the community. 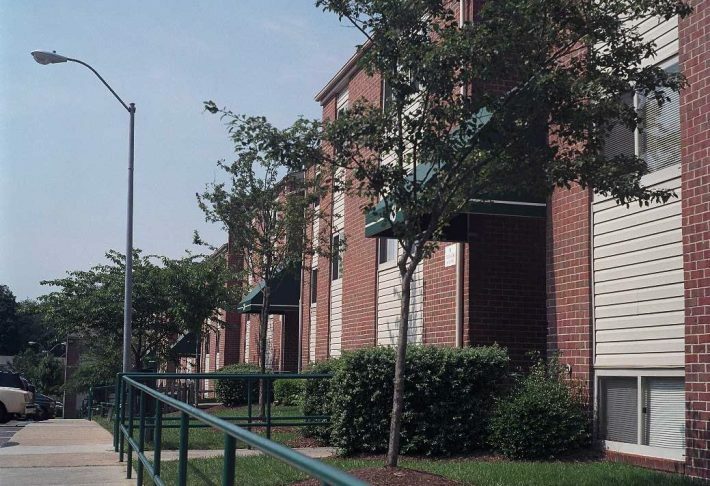 Using “smart growth” principles to reposition the property in the Washington, DC metropolitan market, Landex worked with the town, Prince George’s County, and the State of Maryland to redesign and finance a major renovation of the complex. 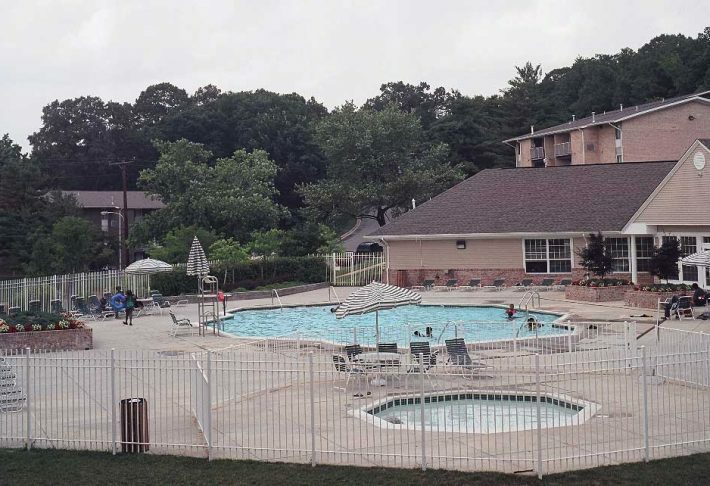 This 198 unit federally-insured property was condemned by the City of Annapolis, Maryland in 1994. In 1995, Landex Development rescued the property from its pending demise by acquiring and renovating the complex and creating a financing structure that included the Bay Ridge Resident Association as a member of the ownership entity. In 2012, Landex refinanced the property and performed over $6,000,000 of energy efficiency and “green” building upgrades; the company was named Maryland’s Green Developer of the Year for its work on this project. 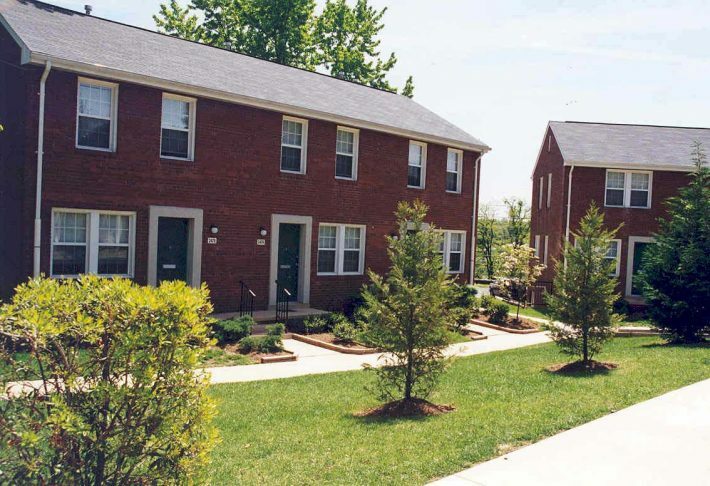 In 1999, Broadway Homes in Baltimore, Maryland was an obsolete, distressed, and crime-ridden public housing complex isolated from its surrounding community, yet merely steps away from the world-famous Johns Hopkins Institute and Baltimore’s thriving Inner Harbor. Landex formed a public/private partnership of diverse stakeholders and created a new “urbanist master plan” and design principles for the redevelopment of Broadway Homes into a mixed-income, mixed-tenured, and mixed-financed housing community. Originally built in the 1920s, this East Orange, NJ property had been neglected and abandoned for years. In 1991, with the help of the New Jersey Housing and Mortgage Finance Agency, Landex substantially renovated the building, creating 60 affordable housing apartments on six floors with an elevator, a central laundry facility, and a Head Start Classroom Program for 60 students. The renovation was financed through the Low Income Housing Tax Credit Program and bonds from the New Jersey Housing Mortgage Finance Corporation. Twenty-five years later, in 2015, Landex refinanced the property and performed system upgrades, extending and preserving the life of this affordable housing. 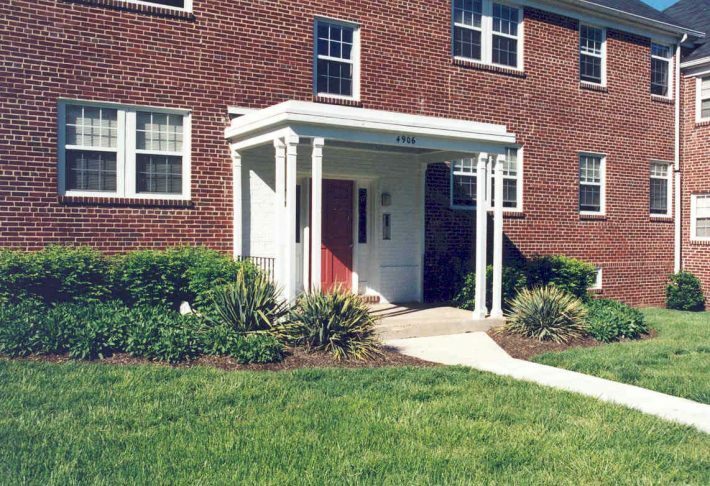 This 303-unit apartment complex in Lansdowne, Maryland was built and financed with FHA S.236 Insurance in 1972, but by 1989 it was plagued by more than 2,000 building code violations and hundreds of health and safety code violations. 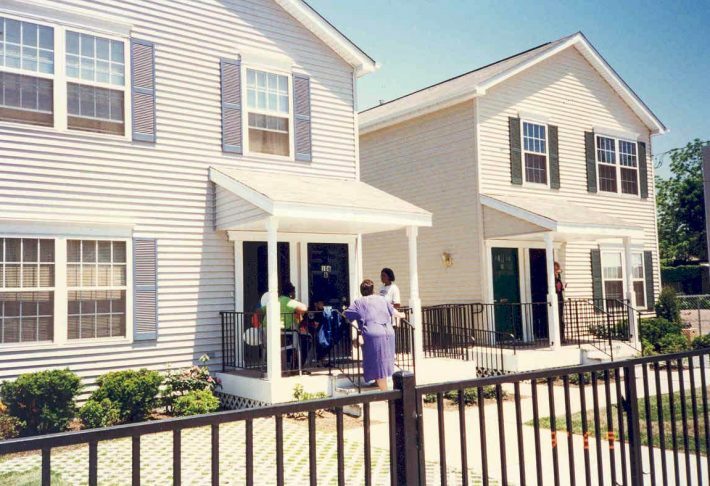 In 1992, Landex acquired, renovated, and revived this community for very low income households by using multiple layers of public and private financing and adding services for residents aimed at enhancing independence and self-sufficiency. 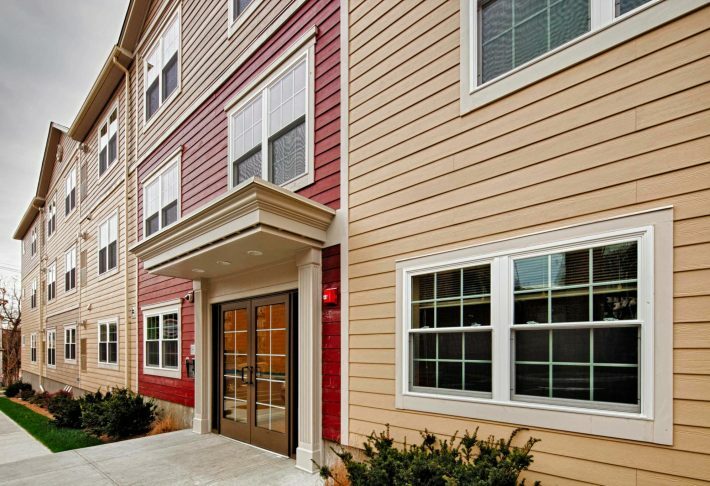 In 2012, Landex refinanced the property and performed more than $6,000,000 worth of upgrades designed to modernize the apartments and improve the energy efficiency of the community. 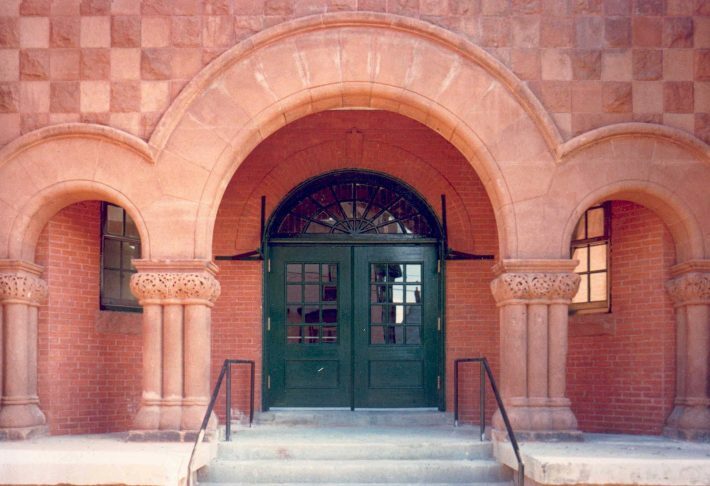 In 1989 the historic Old English High School in Lynn, MA was vacant and crumbling. 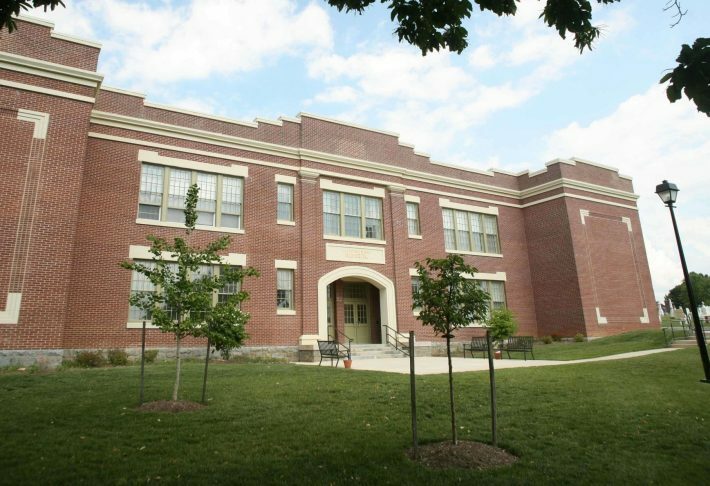 The 176,000 square-foot school, two blocks from downtown Lynn, had been vacant for many years and was negatively impacting its surrounding community. This beautiful, historic structure was adaptively reused as affordable housing for both seniors and families and the project received a special recognition from the Massachusetts Historical Society. Landex Development formed a public/private partnership with the Municipal Housing Authority for the City of Yonkers, New York (MHACY) to redevelop the antiquated Mulford Gardens public housing development. The redevelopment included the reduction of density, the creation of a community, and reintegration of the property into the broader Yonkers community. Using new urbanism principles and adjacent parcels from the city, Landex designed the Croton Heights community, a collection of four properties comprising 265 apartments – Park Vista, Park Terrace, Grant Park I, and Grant Park II. The community received a LEED Gold award from the U.S. Green Building Council. In 2015, the old Mulford Garden was the subject of an HBO miniseries titled “Show Me a Hero,” based on the 1999 nonfiction book of the same name. The miniseries spotlighted the 1995 affordable housing policy that desegregated Yonkers, the controversy surrounding the project and the revitalization of the area under President Bill Clinton’s HOPE VI program and Landex initiatives. For almost seven years, the Arlington County government in Virginia and local civic association had tried unsuccessfully to acquire and arrange financing for renovations to this 82 townhouse-style rental community in 11 obsolete and deteriorated 60 year-old buildings. In partnership with a local, non-profit housing corporation and the local community civic association, Landex acquired the complex and engineered a unique and creative tax and financing structure that enabled acquisition of the property through a donation to a non-profit and the layering and leveraging of eight sources of public and private financing for the renovations. A foreclosed, FHA financed rental community in Harrisburg, Pennsylvania blocks away from the Governor’s mansion was sold to the city with a $1.4 million Up Front Grant for renovations. Landex Development worked with the city and HUD to increase the grant to $11,800,000 for 291 rental apartments and townhouses. 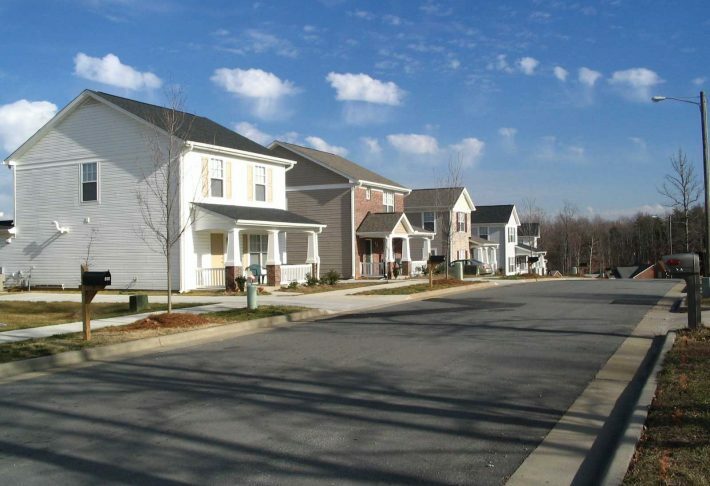 To promote future homeownership, 69 townhomes were developed as lease-to-own housing . 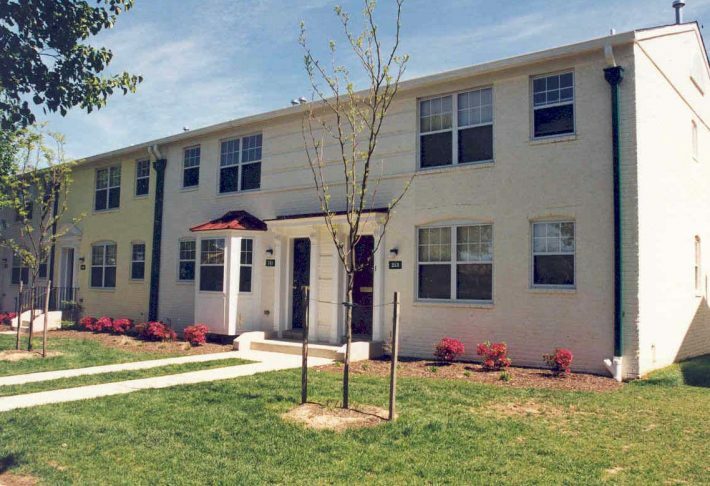 In 1997, this partially vacant, crime-ridden, and badly deteriorated apartment complex was considered a horrific blight to the mixed-income, economically, and racially integrated Beechfield community in Baltimore City, MD. 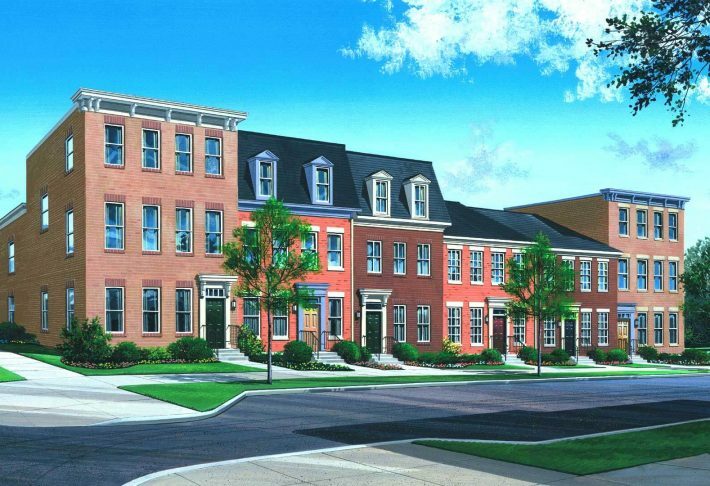 In cooperation with the City of Baltimore and the Beechfield Community and Improvement Association, Landex developed and financed a revitalization plan using an innovative and creative financing structure that raised a total of $8.5 million. The Beechfield Community and Improvement Association honored the Landex team with a Certificate of Appreciation for its work in the community. This property of 200 rental apartments located in Jacksonville, FL was originally built in 1969 and had fallen into disrepair and was socially, physically, and financially bankrupt. Located adjacent to an elementary school, the school and community were disconnected. Today, Hilltop Village boasts an array of programs for its residents that range from a free-standing Early Childhood Center with a full-time Head Start Program, a community center with service programs such as GED classes, Boy Scouts, a 4-H Club, a visiting mobile dental clinic, and a mobile library, and a Magic Johnson/Hewlett Packard Inventor Center and equipped it with state-of-the-art computer equipment aimed at bridging the digital divide for low-income families. 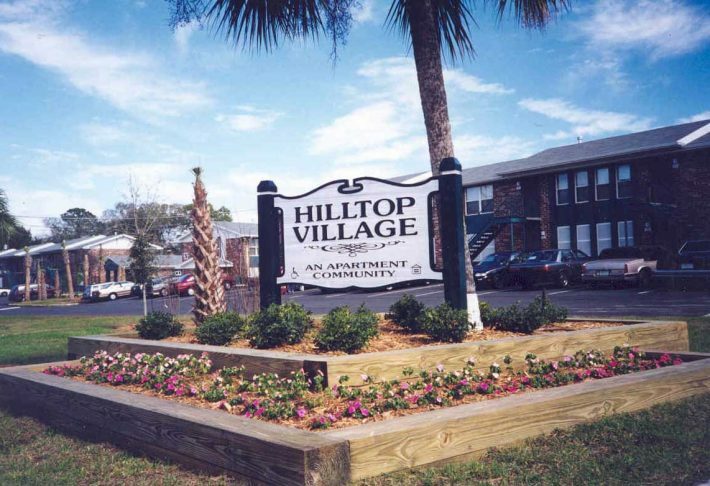 Hilltop received a “Meritorious Award” from the Duval County Housing & Finance Authority for this redevelopment. 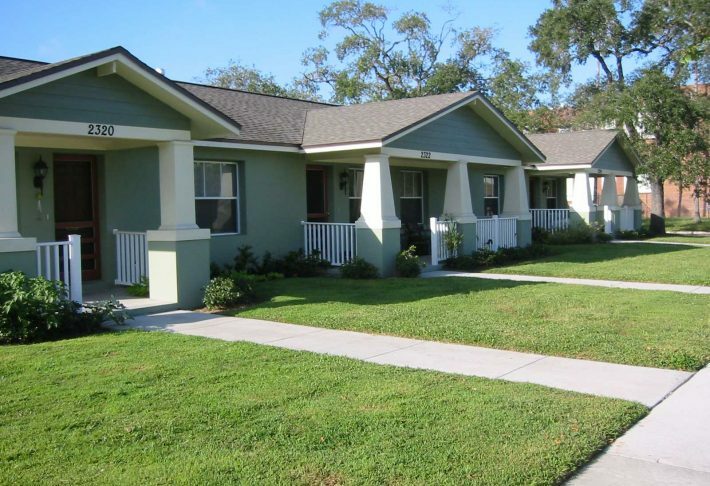 Jordan Park, the oldest public housing project in Florida, was built in 1939. Its campus style site design with deteriorated buildings turned inward away from the street, along with parking lots and trash dumpsters lining the periphery of the site, created large areas of unclaimed land with “no eyes on the street.” Landex formed a public/private partnership and worked with local stakeholders to create a “new urbanist” master plan that replaced the 429 deteriorated, barrack-like housing units with 237 rental apartments in 105 new arts and craft style buildings characteristic of the grand architecture of St. Petersburg’s finest communities. Lakeview Towers and Bel Park Tower, two existing high rise public housing apartment communities in Baltimore City, MD, were built in the late 1970s and early 1980s. While structurally sound, the towers have grown to be inefficient and antiquated. The properties were also subject to a court ordered Consent Decree requiring the City to house persons with disabilities. 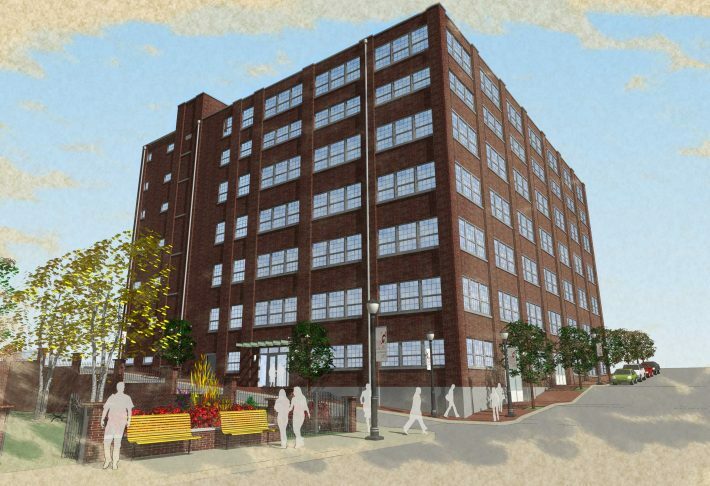 In 2015, Landex formed a public/private partnership with the Housing Authority of Baltimore City (HABC) to redevelop the two properties under the U.S. Department of Housing and Urban Development’s Rental Assistance Demonstration (RAD) program. Landex devised a construction and relocation plan that would permit the renovation of all the major building systems and apartments while keeping all of the existing residents in place and housing them first before filling any vacant apartments. The scattered, infill sites in the Greenville Section of Jersey City, NJ were auctioned by the City for redevelopment. The goal was to eliminate “unclaimed land” and spawn new development in this neighborhood. Today, the redevelopment of these once vacant parcels into good quality in-fill housing in a densely populated urban community has stimulated the redevelopment of other buildings in the neighborhood and has resulted in a significant improvement to the Greenville Section of Jersey City, restoring the vitality of this once grand neighborhood. In 2011, Landex formed a public/private partnership with Montgomery County to perform a workout of a failed condominium development near Silver Spring, MD. The final plan included a four-story elevator building with 52 apartments and parking for 30 cars and building amenities which included an e-lounge, an entertainment area, and a fitness center. In addition, Landex set aside 20% of the land area as a public arts park where the Montgomery College Department of Visual and Performing Arts can display sculptures produced by its students and faculty. The apartment building received a LEED Platinum award from the U.S. Green Building Council. This deteriorated, barracks-style, 50+ year-old apartment complex located at the gateway to Cherry Hill was the blight of this south Baltimore, MD neighborhood and a magnet for local crime. In partnership with a local-nonprofit organization and the Cherry Hill 2000 Master Plan, 34 of the buildings (68 units) were demolished to reduce density and to make way for future home ownership. 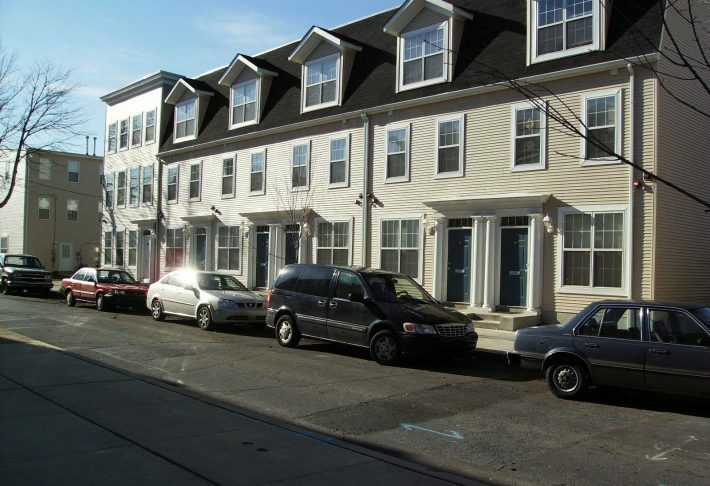 The remaining 126 buildings (with 252 units) were converted into two-story townhouses. As part of its HOPE VI Revitalization Plan, the High Point Housing Authority in High Point, North Carolina demolished this public housing community for replacement with new rental and for-sale housing. A master plan for a Traditional Neighborhood Development (TND) was prepared by Landex and approved by the city and now Springbrook Meadows is a vibrant community comprised of duplex senior villas and single-family homes, complete with a community center, fitness center, baseball and soccer fields, and a three tee practice golf course built in conjunction with the PGA’s First Tee Junior Program. The District of Columbia Housing Authority was tasked with creating additional affordable housing apartments within the city’s rapidly gentrifying neighborhoods. 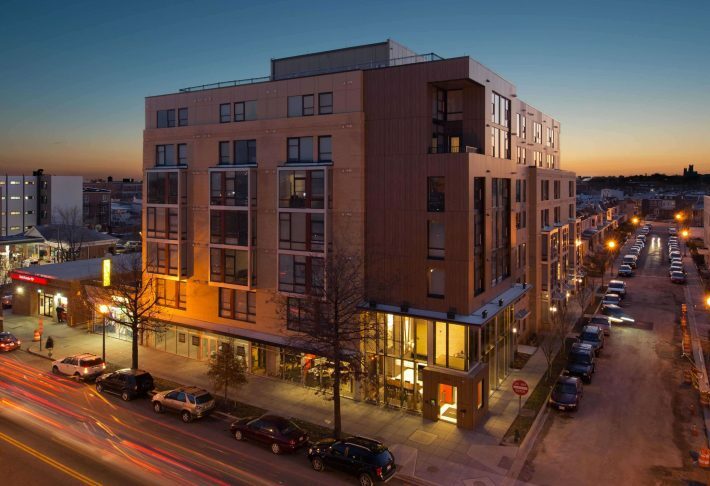 In 2009, Landex identified a vacant corner parcel on Georgia Avenue in the Columbia Heights community in Washington, DC and set out to design and build a high-quality mixed-income apartment community. 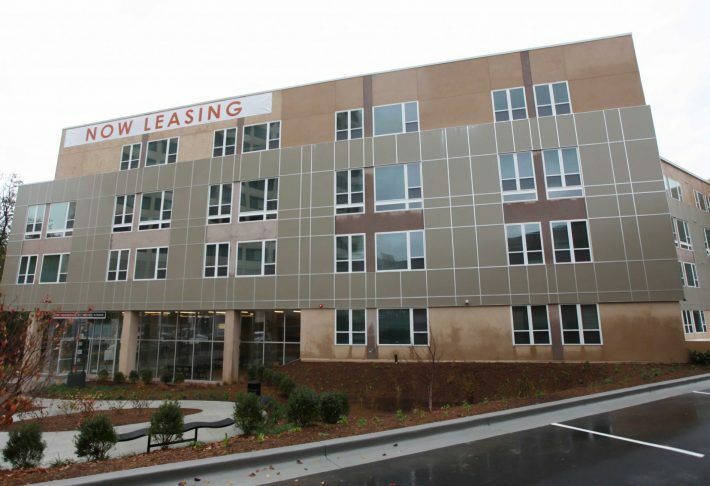 The building opened in 2011 with 100% occupancy, many of whom were prior public housing residents. It features 83 apartments, 2,500 square feet of retail space currently occupied by a locally owned yoga studio, and significant resident amenities. The Hanes Textile Mill (also known as the Brown and Williamson Tobacco Company) was built in 1940. In 2000, this historic building was vacated and the surrounding community and all other historic structures fell into disrepair. Landex joined forces with Goler CDC, a local nonprofit community development corporation, to renovate the building. Together, Landex and Goler CDC designed and obtained financing for the adaptive use of the building and spearheaded its transformation into The Gallery Lofts, a collection of 82 urban lofts in an historic 150,000 square-foot building, using the state and federal historic tax credits. A long neglected, historically significant, 80-year old vacant and deteriorated elementary school building in the center of the Town of Hampstead in rural north-central Maryland had been vacant and vandalized for eight years. This flourishing senior community now includes 88 apartments, all of which incorporate Universal Design features for the elderly. A local partnership between the residents and a local public school received an award for excellence from the U.S. Department of Interior’s “Making America Beautiful” program.